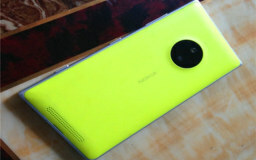 The Nokia Lumia 830 will most likely be unveiled at IFA on September 4 but we've already amassed a large number of leaks for the upcoming mid-ranger. A new batch of photos gives us a peak at the sides of the phone, photos until now focused on the front and back of the device. 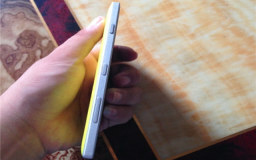 The Lumia 830 seems to borrow the design of the Lumia 925 with a metal rim and polycarbonate on the back. 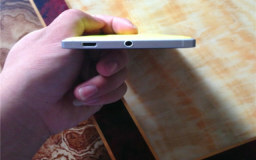 The metal sides of the phone are squared off rather than rounded, which makes the 830 look thicker than the 8.5mm Lumia 925. The new mid-range Windows Phone handset still has a protruding camera module on the back but that's mostly for show – the actual camera lens appears much smaller than the black circle, which it shares with the LED flash. 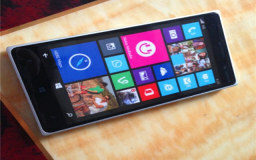 The Lumia 830 will allegedly support wireless charging, the Lumia 925 had that as an option via back covers. Rumored specs so far include a Snapdragon 400 chipset, LTE connectivity, 1GB RAM and 8GB storage (expandable). Despite the odd-looking camera module the innards are rumored to include a 20MP PureView camera, plus a 5MP front-facing camera. The screen should be 4.7" big with 720p resolution though there seems to be a version of the Lumia 830 with a smaller 4.5" screen too.